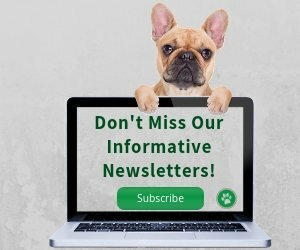 Unlike other parasites, dog ticks do not reside permanently on our four-legged friends. They just hitch a ride, get some free meals (blood), and then fall off to lay eggs. There are different species of ticks that can affect dogs and transmit different diseases to dogs and humans as well. Some such diseases include Lyme disease, Rocky Mountain spotted fever, ehrlichiosis, babesiosis, and others. These tick-borne diseases are transmitted through the tick's saliva while it is feeding on the dog's blood. However, most of these diseases take 24-48 hours to transmit to the dog host. It is therefore essential that we check our dogs for ticks immediately after going out in the woods or other high risk areas. The sooner we remove a tick on our dog, the less chance of our dog getting any tick-borne disease. Ticks are most active in mid-mornings (from around 8 a.m. to 11 a.m.), and they are most plentiful from April to October. Therefore, we have to be more vigilant during these months, and check for ticks every time after coming back from places where ticks may lurk. For example, after hiking, immediately check your dog's coat for ticks. They usually go and hide out in dark and warm, blood-rich areas of dogs, so examine carefully your dog's "armpits", tummy, legs, around the neck and don't forget the face. 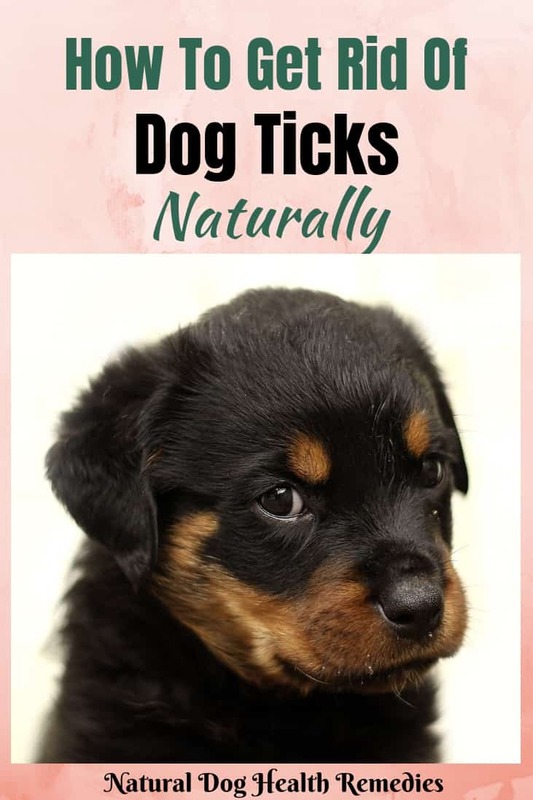 In addition, if you live in a place where ticks are aplenty, use a flea comb to carefully comb through your dog's hair to remove tiny ticks that are not engorged with blood yet. Grab the tick as close to the head as possible, or grab the mouth parts right where they enter the skin. **Do not grasp the tick by the body, as the head may then get embedded in the skin. Using steady and gentle pressure, pull firmly and directly outward, without twisting the tick. Do not touch the tick since diseases can be transmitted. Remember to wash your hands after removing a tick! Wash and disinfect the tweezers as well. 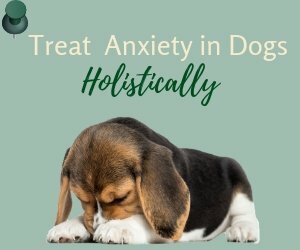 After removing the tick from your dog's body, you can use a natural herbal ointment (such as comfrey) to soothe the tick bite wound. Or, try using bee propolis, which is an excellent disinfectant and natural antibiotic. Either apply the liquid bee propolis to the tick bite wound using an eyedropper, or you can mix it with a bit of aloe vera gel to treat larger areas. Be sure to reapply frequently - on the day of the bite and 2 to 3 days after. The best way to deal with ticks is to prevent them from attaching to your dog in the first place. Though conventional medications and tick collars can be effective, these are basically pesticides that stay on the dog's body for a long time. It is much better to use a more gentle and natural approach to deal with ticks for the sake of our dog's health. Having said that, however, like anything else, it should not be "either-or", meaning we need to take a "wholistic" approach while trying to deal with dog ticks. Natural remedies are safer for dogs and the environment. But if you live in an area where ticks are aplenty, these remedies alone may not be able keep ticks off your dog. In such a case, you may need to consider using heavier ammunition (conventional tick control products) in addition to the remedies. Natural remedies that can be used to repel ticks include herbs and essential oils. 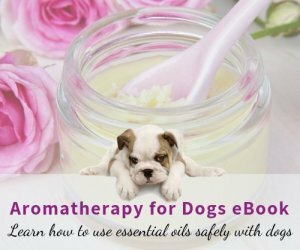 NOTE: When using essential oils, however, be sure to get 100% pure essential oils and NEVER apply undiluted essential oils directly on your dog's skin. Put in a jar with a shaker top, and apply to your pet's coat 2 or 3 times a week. Lavender essential oil is antibacterial, and thyme ct. linalool is antiviral and an immune system stimulant. Massage the oil on areas of the dog that are most likely to come into contact with ticks. Ticks also hate geranium, bay, and lavender. Here is a blend that I like to make for my dog (adapted from The Encyclopedia of Natural Pet Care by C.J. Puotinen). Start with 2 tablespoons of Neem tincture and add more as needed to dissolve the oils completely. When there is no longer a thin film of oil on the surface, add a cup of distilled water (or aloe vera juice or gel) and shake well. Apply as frequently as needed, and in particular to the dog's neck, back, chest, legs, and tail. Avoid the eyes. Garlic contains compounds that are secreted through the skin, and it seems that ticks as well as fleas do not like the smell. Therefore, to keep ticks and fleas from hopping on to your dog, feed her a bit of fresh uncooked garlic regularly. This supplement is nutritious and is helpful for making dogs less "tasty" to ticks and fleas! Neem is antiseptic and antibacterial and is often used topically for skin infections and as an ingredient of insect repellents. 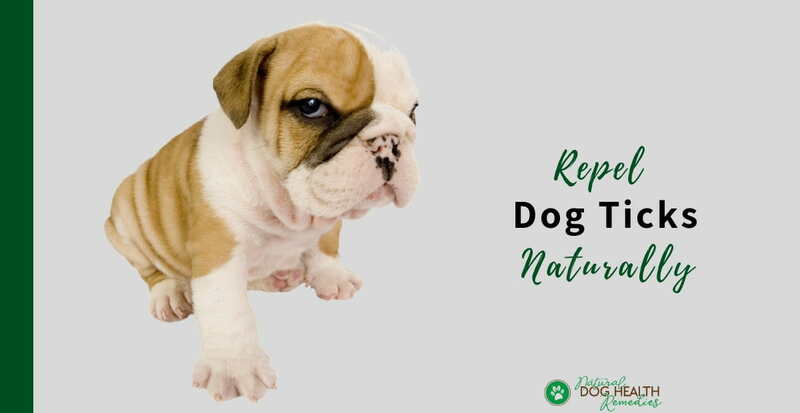 In addition, according to some holistic vets, when taken internally, neem not only can support and balance the GI tract, but can also help make dogs less attractive to fleas, ticks, mosquitoes and intestinal parasites! Suggested dosage is 500 mg. per 10 pounds of body weight once a day. Note, however, that dietary supplements may help your dog repel ticks to some extent, they should not be used as the only guard against ticks, especially if you live in a high risk area. There are also quite a few natural products of tick repellents that are effective. Check out this page for more information.